The Appellate and Training Division responds to certain appeals and writs in the Superior Court, District Court of Appeal and the California Supreme Court. Further, the Division handles a wide array of internal office issues such as civil litigation in federal and superior court, interagency requests for documents and California Public Records Act requests. 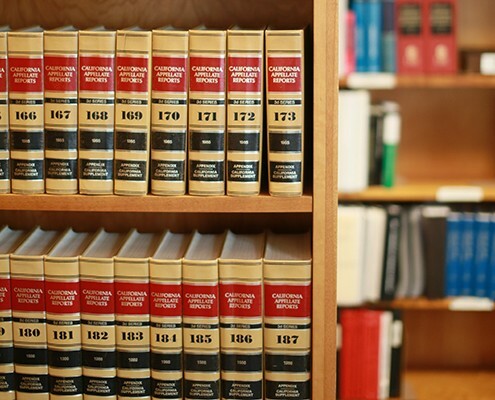 The attorneys and staff in the division are trained to handle specialized areas of motion practice, appellate practice, legal research, policy, ethics, legislation, and training. The Chief of the division is Deputy District Attorney Mark Amador and the Assistant Chief is Deputy District Attorney Linh Lam. The training director is Deputy District Attorney Patty Herian and the ethics coordinator is Deputy District Attorney Michelle Ialeggio. She handles the office’s ethics program, providing advice, assistance, and training to attorneys in matters relating to professionalism and maintaining the highest standards of prosecutorial excellence. The Appellate and Training Division is the central repository for institutional knowledge of the law and DA office protocols. 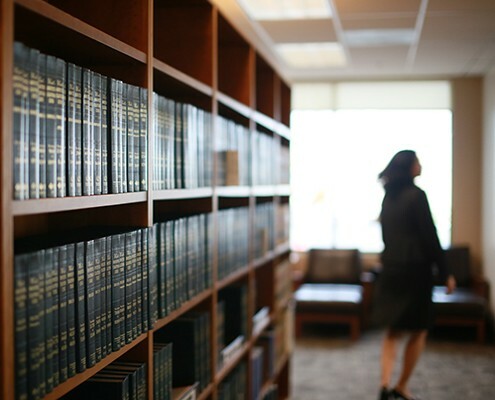 Attorneys in the division dedicate themselves to the highest order of scholarship, while publishing legal resources for the San Diego County District Attorney’s Office and prosecutors’ offices across the state. Publications include Autobrief, which is updated and maintained by Deputy District Attorney Craig E. Fisher and relied upon by prosecutors up and down the state. Appellate prosecutors during 2018 handled motions, appeals, writ petitions, amicus briefs and oral arguments in the Superior Court, the District Court of Appeal, and the California Supreme Court. The division responded to hundreds of inquiries from prosecutors seeking legal advice and assistance, including providing extra support on many high-profile trials. In addition, the division and its specialized prosecutors served as the legal advisory team to the District Attorney’s Office, advising the administration in implementation of policy and procedures responsive to newly-enacted legislation. The year 2018 was a period of major developments in the California criminal justice system, with new legislation and voter initiatives changing both substantive and procedural law in California. The Appellate and Training Division led the way in analyzing those laws, establishing protocols, and educating the office about those new laws while also litigating several contentious issues in dispute, both in the Appellate Court and Superior Court. Individual Deputy District Attorneys in the division became subject matter experts in order to effectively handle new litigation related to new laws concerning murder prosecutions, personnel records and juvenile matters. 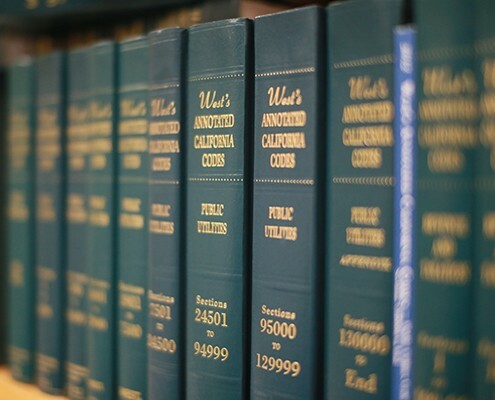 Without much precedent to rely upon, Appellate Division prosecutors protected the public and defended against overly broad interpretations of these new laws that posed risks to public safety by raising arguments in the Superior Court, Court of Appeal and California Supreme Court through motions, appeals, and amicus litigation. The Appellate Division also intervened in the appellate courts in several cases by filing requests to publish, requests to depublish, and amicus briefs in pending appeals in cases from San Diego along with cases in other counties. The noteworthy ruling by the Court of Appeal in this case protected the trade-secret rights of third-party vendors and reaffirmed the long-standing definition of “prosecution team” in a discovery context. Following a trial court order for the People to produce in discovery certain proprietary trade-secret software source code belonging to a third party New-Zealand-based DNA software company, the People sought a writ of mandate to reverse that order. In a published decision, the Court of Appeal reversed the lower court order, finding that the software company was not an “agent” of the government acting on its behalf, and therefore was not a member of the “prosecution team.” The People were not required to acquire the third-party software source code for discovery. Instead, the defendant had an equal ability to obtain the material through the statutory subpoena process, which would allow the court to properly balance the defendant’s interests against the third party’s trade secret privilege. This significant case pits a victim’s right to privacy against a criminal defendant’s interest in due process. Criminal defendant Touchstone was charged with attempted murder, using a firearm and inflicting great bodily injury upon the victim. While awaiting trial, Touchstone moved to compel the People to produce content from the victim’s private Facebook account. The trial court denied the motion, which prompted Touchstone to subpoena the records from Facebook. Facebook moved to quash the subpoena, but the trial court denied the motion. Facebook sought an order in the Court of Appeal to reverse the lower court decision. Because Facebook’s appeal involved a civil subpoena, the People were not a party. The Court of Appeal ordered the subpoena quashed and Touchstone appealed to the California Supreme Court. The California Supreme Court directed Touchstone and Facebook to address whether the trial court has authority to order the District Attorney to issue a search warrant for the electronic communications sought by Touchstone. Because the People had a direct and immediate interest in a court ruling that mandated prosecutors to illegally use search warrants on non-criminal third parties, like Facebook and the victim, the People sought to intervene. The court granted the People’s motion to intervene — a rare occurrence. Although numerous briefs have been filed, litigation in this important case continues. Attorneys in the Appellate and Training Division also participated in the California District Attorneys Association (CDAA), serving on the appellate, legislation, legal issues and ethics committees. Chief Amador is a member of CDAA’s Board of Directors. Assistant Chief Lam serves on the San Diego County Bar Board of Directors. During 2018, the division responded to more than 160 California Public Records Act requests, and more than 200 inter-agency requests for records and information. 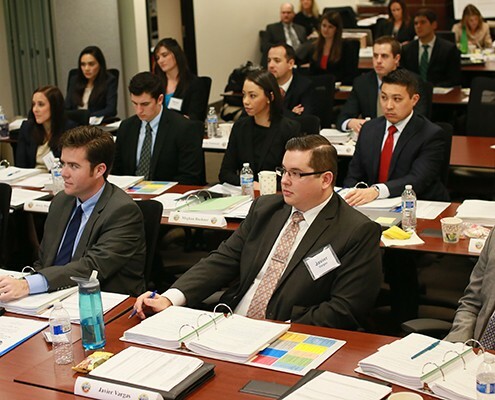 Throughout 2018, the divisions training group developed, coordinated and produced high-quality, in-house trainings including workshops for advanced trial advocacy, discovery obligations, and homicide prosecution. The District Attorney’s Office is a State Bar certified MCLE provider. Deputy District Attorney Patricia Herian, members of the training team, and members of the Legal Training Advisory Committee were devoted to successfully providing all attorneys and paralegals abundant opportunities to meet their continuing legal education requirements. 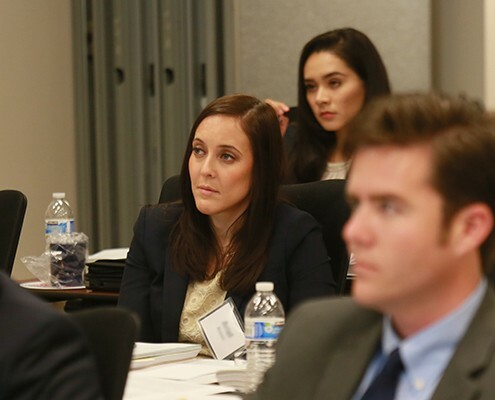 These programs included the rollout of the wildly-successful bi-weekly video trainings targeting current legal developments, featuring Deputy District Attorney Brooke Tafreshi. Training also continues to provide live-stream presentations that allow for office-wide viewing, regular updates in the areas of ethics, two day-long training sessions, and multiple-day workshops and seminars. The training group not only ensured compliance with MCLE requirements for attorneys and paralegals, but also ensured compliance with mandated state and county training.